International Buddhist Ethics Committee - Buddhist Tribunal on Human Rights: Evidences of Case "Aum Shinrikyo & Aleph cult"
International Buddhist Ethics Committee: In 1995 the powerful Japanese sect "Aum Shinrikyo" carried out terrorist acts killing dozens of people and seriously injuring thousands of lives. This sect, now called "Aleph", has been spread through several countries in Europe, where it begins to be persecuted as a terrorist organization, as happens in Russia. Indeed, the Buddhist Tribunal on Human Rights has been able to analyze during the "Supreme Court of Russia Federation" Case that "Aleph" sect is being banned in that country. Because the actions carried out by this dangerous sect would be Crimes against Humanity, the International Buddhist Ethics Committee is in favor of this prohibition. 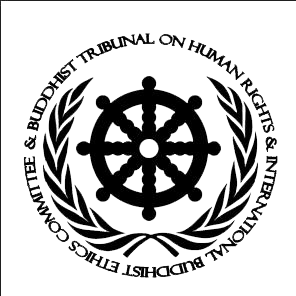 On the other hand, this Case not only plans to demonstrate that the Aum Shinrikyo or Aleph sect has violated the International Human Rights Law, but also seeks to demonstrate that this sect constitutes False Buddhism, which is very important because many scholars have unreasonably accused Buddhism of being behind these terrorist acts, erroneously stating that this sect has Buddhist bases. Among these malicious or without knowledge academics is Ken Wilber, who has already been sentenced by the International Buddhist Ethics Committee. BARBIE LATZA NADEAU, JAKE ADELSTEIN: "The Japanese Doomsday cult Aum Shinrikyo (Supreme Truth) has been pretty quiet since its members, following the orders of its founder, Shoko Asahara, killed 13 people and sent more than 5,000 to the hospital in a gruesome sarin gas attack on the Tokyo subway in March 1995. But apparently that relative silence doesn’t mean they’ve stopped their madness. Last week, 58 people believed to be affiliated with the creepy cult were caught at a seedy hotel in Danilovgrad, Montenegro, where they were holding a conference, according to Montenegro press reports. (...) Aum Shinrikyo was the first—and to date the only—terrorist group to launch a sophisticated chemical warfare attack. It had invested a fortune developing the technology to manufacture a weapon first produced by the Nazis in the 1930s that, even now, al Qaeda and the so-called Islamic State can only dream about: a colorless, odorless nerve agent that causes victims to suffocate within ten minutes and may do permanent neurological damage to those who survive. It is classified as a weapon of mass destruction, along with atomic bombs and biological agents. But a more suitable description would be weapon for mass murder. In 2013, the world got a glimpse of sarin in action when the Syrian regime used some of its stockpile on civilians. On March 20, 1995, Asahara’s followers dropped five plastic bags filled with sarin in liquid form on Tokyo subway trains at the height of rush hour, simultaneously puncturing them with sharpened metal-tipped umbrellas. Although the death toll was lower than expected, hundreds of people still suffer from the effects of the poison and the trauma of that day. Many more people likely would have been killed had the agent been dispersed in aerosol form. The cult had plans to disperse the gas over Tokyo with a helicopter purchased from Russia, but it was stopped before it could put the larger plan into effect, according to police officers who worked the case Followers of the cult, then and now, worship Shoko Asahara, whose real name is Chizuo Matsumoto. He is currently on death row awaiting the outcome of appeals on multiple convictions related to the 1995 attacks, but the faithful see him as a Christ-like figure. The fact that those in Montenegro were worshiping a man who orchestrated what he hoped would be an apocalyptic incident might indicate that they agree with his philosophy—the fact that they were holding their meeting on the anniversary of the Tokyo attack would appear even more incriminating. (...) After the 1995 Tokyo gas attacks, nearly 200 people were charged with various offenses related to the atrocity. Some members of the cult are still on trial for various felony charges including attempted murder and sending mail bombs." MASAMI ITO: "On the morning of March 20, 1995, members of the Aum Shinrikyo (Supreme Truth) doomsday cult carried out the deadliest act of domestic terrorism in the postwar era, releasing a toxic nerve gas that killed 13 and injured thousands during the rush-hour in Tokyo. Twenty years later, a number of victims continue to suffer physical or mental after-effects of the sarin attack, experiencing complications such as impaired speech, blurred vision and post-traumatic stress disorder. Some of the more unlucky ones are still confined to their beds. To date, investigators have charged 192 Aum members over their alleged role in the attack, with 13 members, including leader Shoko Asahara, receiving the death sentence. Katsuya Takahashi, who was arrested in June 2012 after being on the run for 17 years, is the last cultist still on trial. Takahashi is thought to have been the driver for one of the senior cultists who sprayed the gas, and faces charges that include murder, kidnapping and solitary confinement resulting in death, and violation of the Explosives Control Law. He pleaded not guilty to almost all charges against him at the beginning of his trial at the Tokyo District Court in January. A verdict is expected at the end of April. Following Aum’s dismantlement, former members quickly reorganized into a group called Aleph in 2000. Others joined a splinter group headed by former Aum spokesman Fumihiro Joyu called Hikari no Wa (Circle of Rainbow Light). The spin-off groups will remain under the Public Security Intelligence Agency’s surveillance until the end of January 2018." Japan Times: "The Tokyo High Court on Wednesday upheld a lower court ruling that sentenced a former Aum Shinrikyo fugitive to life in prison for his role in the doomsday cult’s 1995 sarin attacks on the Tokyo subway system that killed 13 people and sickened thousands. Katsuya Takahashi, 58, was found guilty by the Tokyo District Court in April 2015 of murder and other crimes for his role as a driver for one of the cult members who released the deadly poison on a subway car on March 20, 1995. Takahashi was also accused of involvement in three other attacks orchestrated by Aum during its heyday in the early 1990s. During the appeal process, Takahashi’s lawyers claimed that he wasn’t sure what chemical the cultist would release, and that he didn’t expect the incident to lead to casualties. The lower court said in the original ruling that Takahashi had been warned by a former senior cult member and so was “aware that a volatile poison was to be released and deaths were highly likely.” It said Takahashi played an “indispensable” role in ensuring a successful attack, though it acknowledged that he was simply following instructions from his superior. Yoshihiro Inoue, a 46-year-old former senior cult member who was sentenced to death over his role in the gas attacks, testified during Takahashi’s trial in the lower court that he had told him that sarin would be released. Takahashi denied that Inoue had ever told him this. Takahashi was apprehended in Tokyo in June 2012 after nearly 17 years on the run. He was the last Aum Shinrikyo member on a special nationwide wanted list. Cult founder Shoko Asahara, whose real name is Chizuo Matsumoto, has been sentenced to death for masterminding the subway attacks. According to the district court ruling, Inoue took part in the attacks to realize his own religious goal of achieving enlightenment according to the teachings and urging of his guru Shoko Asahara and to secure his position in the cult." BARBIE LATZA NADEAU, JAKE ADELSTEIN: "At the height of its popularity Aum Shinrikyo had around 40,000 active followers who took part in bizarre rituals orchestrated by cult leader Asahara, who is partially blind. Their rites mixed elements of Christianity, Buddhism and Hinduism with brainwashing to convince followers Asahara had supernatural powers. According to an article marking the anniversary of the attacks in Tokyo Weekender last year, the group’s initiation ceremonies consisted of hallucinogenic binges on LSD during which Asahara made members reject materialism by handing over their wealth to him. (…)Asahara supposedly gave followers “superhuman powers” in exchange for their material wealth. Asahara also saw himself as something of a prophet, famously predicting a third world war instigated by the United States. As details emerged of Aum Shinrikyo’s operation in the 1990s, it came to appear less a religion than a criminal enterprise, manufacturing its own line of computers and making meth-amphetamines that was sold wholesale to the Yamaguchi-gumi Goto-Gumi, a faction of Japan’s largest yakuza, or organized crime, group." Brendan Cole: "A 2011 report carried out by the US-based Center for a New American Security (CNAS) reported how Matsumoto became an acupuncturist in the city of Kumamoto, but moved to Tokyo in 1977 to further his education. He developed an interest in New Age religions and turned to yoga, mysticism, Buddhist texts and the writings of Nostradamus. He opened a yoga school in Tokyo in 1984 called Aum Inc where he lectured how he was a source of spiritual power. By 1985, he would make public pronouncements that he was a sacred warrior charged with saving the world and how he would restore "original Buddhism" to the world. He changed the group's name to Aum Shinsen no Kai which means "Aum Mountain Wizards". CNAS reported how Matsumoto would use the theme of Armageddon to urge people to join his organisation which he said needed to acquire at least 30,000 members. In July 1987, he changed the name again, this time to Aum Shinrikyo (Aum Teaching of Truth) and he himself took on the moniker of Shoko Asahara. What does it believe? The focal point of the group is its reverence for Shoko Asahara who claims he is the first enlightened one since Buddha, although their beliefs are a hotchpotch of musings from Hinduism and Buddhism with a few apocalyptic Christian prophecies thrown in. His claim that only his acolytes would survive the apocalypse which he predicted would occur in 1996 or between 1999 and 2003 attracted many who were young smart university graduates, often from well-to-do families looking for meaning in life. The Council on Foreign Relations stated he claimed the US would be behind the end of the world by starting World War 3 with Japan. (...) Sarin is a nerve agent developed by Nazi scientists in the 1930s and is said to be 500 times more toxic than cyanide gas. On 20 March 1995, cult members put a liquid form of sarin into packages that resembled lunch boxes. They were then placed on five cars that converged at Kasumigaseki station, which is near government offices. The Japan Times reported Asahara as giving the reason for the attack as being a "holy attempt to elevate the doomed souls of this world to a higher spiritual stage". They punctured the packages with umbrellas, leaving commuters gasping on the ground with blood pouring from their noses and mouths. (...) Prosecutors believe that the cult has been actively recruiting new members and soliciting donations in Russia, where it already has an estimated 30,000 members." Mullins, Mark R. 1997. "Aum Shinrikyo as an Apocalyptic Movement" in Millennium, Messiahs, and Mayhem: Contemporary Apocalyptic Movements: Thomas Robbins and Susan J. Palmer, eds. New York, NY: Routledge. 313-324. Young, Richard. 1995. "Lethal Achievements: Fragments of a Response to the Aum Shinrikyo Affair." Japanese Religions. 20:2. 230-245.